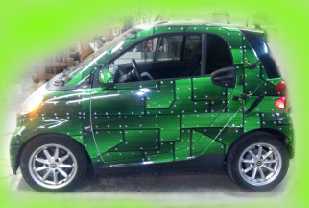 Vizual Express can do small spot graphics, partial or full wraps! Just need your company logo and phone number or want to really give your business eye catching exposure. Nothing can provide more views per day than your vehicle as a your traveling billboard!! Arrive at your next job in style! Assure your customers are comfortable they hired a firm that presents a good image! Provide up to 5000 views a day to potential customers.